Dr Mohd Idzwan (second from left) guiding Rizq Khan, 10 (third from left) how to do CPR. Looking on is Tahira Khanum, 39 (left). FEW OF us are equipped with lifesaving knowledge and skills in the event of an emergency but this lack of knowledge could mean the death of someone’s life. 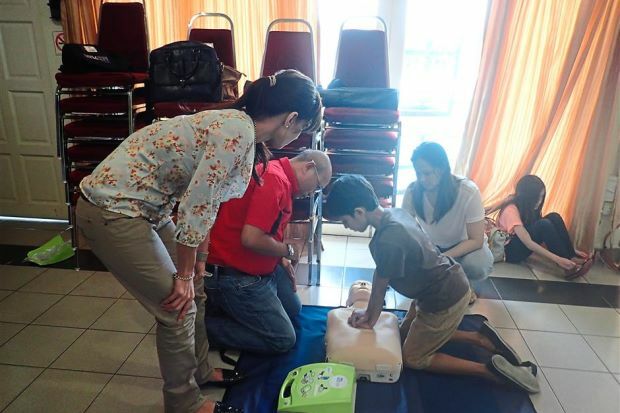 Aiming to create awareness and educate the public, the office of Bukit Gasing assemblyman Rajiv Rishyakaran, in collaboration with Zoll Medical Corporation and the College of Emergency Physicians Academy of Medicine Malaysia, recently organised a workshop on CPR and lifesaving skills in Kelab PJ, Petaling Jaya. The event saw consultant Assoc Prof Dr Mohd Idzwan Zakaria sharing vital information with the guests, including tips on helping a person experiencing sudden cardiac arrest. Automated external defibrillator (AED) training and cardiopulmonary resuscitation (CPR) demonstrations were also organised. Dr Mohd Idzwan shared that chest compression was recommended for those who did not want to do mouth-to-mouth CPR on a stranger and that it could be done when someone unexpectedly collapses and is unresponsive. “Cardiac arrests that occur outside the hospital usually have a poor outcome in the Klang Valley,” he said. 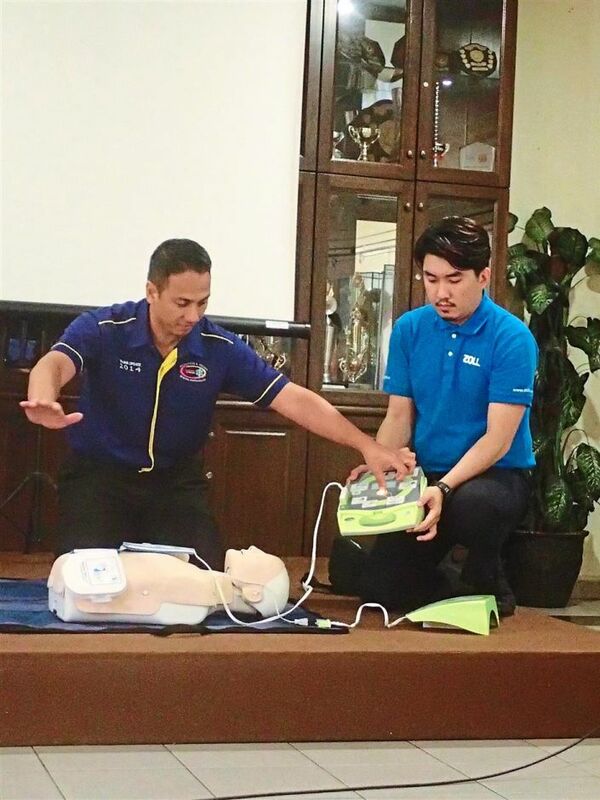 “The use of AEDs, in combination with CPR, will substantially improve the chance of survival and quality of life following a sudden cardiac event,” said Dr Mohd Idzwan. College of Emergency Physicians Academy of Medicine Malaysia emergency physician Dr Izzat Ismail (left) and Zoll Medical Corporation business development executive Even Koh conducting an AED and CPR demonstration for attendees. 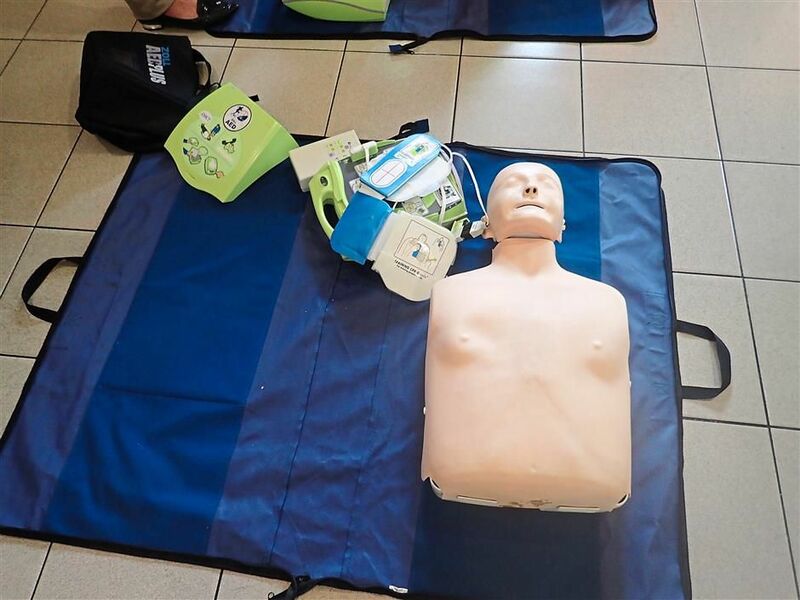 “Many people lack confidence and knowledge in engaging in community CPR, fearing that they would do something wrong and not take action as a result,” he said, adding that he hoped to conduct more CPR and lifesaving workshops in the future. Attendees also had the chance to test their new-found knowledge by practising their CPR skills and learning how to use an AED on dummies following the talk. After the workshop, attendee Cindy Wong, 26, said CPR was nothing like it was depicted on television. “But it’s pretty easy and people can learn to do it,” said the lawyer. Raba’ah Roszini, 37, said it was her first time learning CPR.“I live in a community where there are children,” she said, adding that it was a useful skill to learn. Attendees get the chance to test their newly found knowledge by practicing their CPR skills and learning how to use an AED on a dummy following the talk.